I'm just back from a blissful trip to Baja Mexico, where I got to check off many of items on the Cabo must-see list: getting a glimpse of gray whales, soaking up some sun, and exploring the many deserted beaches along the Pacific coast. 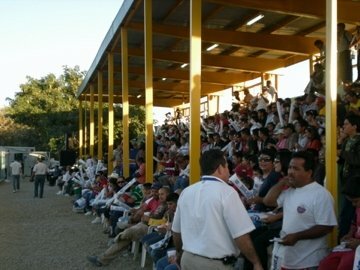 But one of my favorite nights was spent in the bleachers in San Jose del Cabo, the smaller, artsy town to the east of Cabo San Lucas, where my boyfriend, Tim (a soccer obsessee), and I took in a local semi-pro game. 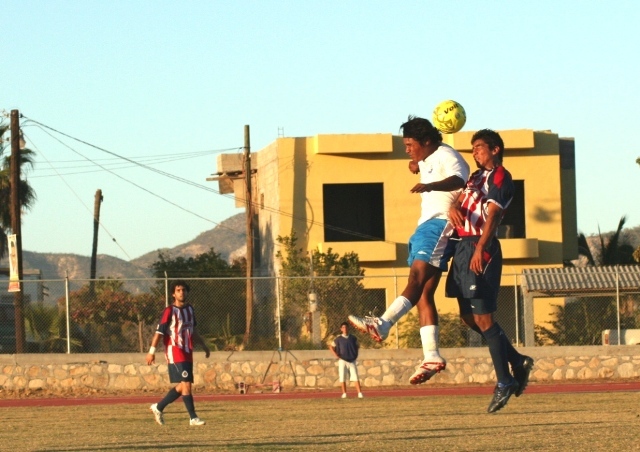 We watched as the blue-and-white clad Los Cabos Delfines home team took on Guadaljara Chivas, a national favorite with a huge fan base, clearly represented by the blue-and-red bedecked fans crowding the stadium. (For the record, that would be the Dolphins vs. the Goats for those of you heavily into mascots, and you can see pics from the game here). Tucked in between Mexican families banging their inflated clackers, we stepped outside of our tourist identities for a while and became simply fans. I have to admit I spent as much time taking in the crowd as I did the game (though I was usually called back to attention when the crowds chanted "Burro!" at the goalies). It felt foreign yet familiar at the same time—particularly when a man showed up as the sun was setting to begin selling light sabres to kids in the crowd. When Tim studied abroad in Europe, he always tried to take in a soccer game in whatever city he visited, usually buying the scarf of the home team to help him blend in with the locals (which often have a tendency of getting rowdy with fans from opposing teams). And for a long time I attributed his soccer stops merely to his tenacity as a fan. But as I watched the crowd leap to their feet as the Delfines won the game, I realized that it's a tremendous way to get a glimpse of authentic culture. From the food at the concession stands to the chatter of the crowds, it's a quick way to feel like you belong, no matter where you are. Do you plan your trips around baseball season? Run marathons on different continents? 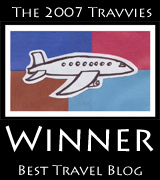 How do sports factor into your travels? Let us know in the comments below. One of my traveling highlights was getting to see the seventh game of the South Korean World Series (baseball). To attend such a big event in another country was truly memorable. A snicker went up from the Nicaraguans, all of them amused by this display of gringo naievety. There was general agreement with this.